We have been talking about medical negligence a lot this month. A few days back I wrote a post questioning whether the UK is in fact catching up with the US in the lawsuit culture. An interesting idea indeed! Today I want to share a few stories of medical negligence that I have researched from various forums – some of which can only describe as outrageous! Medical negligence is a very sensitive subject and the consequences of medical malpractice can be huge – in some cases this actually led to loss of life. Our son Adam was 12 when he died. His father took him on a fantastic camping trip in Yosemite where they went hiking and biking together. Adam had always been a healthy young boy who loved the outdoors, but unfortunately 4 days into the trip his stomach began to hurt. As it got worse and he began vomiting, his father suspected appendicitis and took him to a local clinic where he was referred to a local hospital. A surgeon who had been on duty for over 20 hours diagnoses appendicitis and removed his appendix shortly after. The surgeon also found 2 liters of fluid whist operating and didn’t think to follow up with further tests / referrals. Four hours later, Adam collapsed with full cardiac arrest and died shortly after. Tragic. I was lying on the examination table when the doctor came in. The doctor has a foreign accent and I heard him diagnose me with leukemia and not anemia . I was in floods of tears whilst writing out a check to pay for the treatment and his nurse at the front desk had asked me what was wrong. I told her that I had been diagnosed with leukemia and she looked utterly shocked. She laughed and reassured me that I had anemia and not leukemia. She assured me that providing I take some iron pills I would actually be fine. Oh my god I cannot tell you how relieved I was! John Brandrick from London was diagnosed with terminal cancer in 2006. At 62 years old, this alarming news led to John selling off his possessions, ceasing to pay his mortgage and giving things away. He decided to eat out in fancy restaurants, stayed in fancy hotels and took lots of holidays. A year later and doctors have realised that the original diagnosis of pancreatic cancer may in fact have just been pancreatitis – inflammation of the pancreas. John is now seeking compensation to buy his old life back! In June 2012 CNN published a story about Erin Cooke who was a patient scheduled to have an Ovary removed. Unbelievably, Erin awoke during the operation and was able to feel everything that the surgeons were doing, without being able to communicate. The gas mask that was supposed to be keeping her sedated, but had malfunctioned and the drug was leaking – she was receiving about 5% of the intended dosage. Erin felt every single part of the painful procedure. Again from CNN, a patient Mary Cole went missing from her nursing home. Despite numerous searches, nobody found her for FOUR days! She was eventually found accidentally locked in a storage closet and later died of dehydration. Bless her soul. One of the most shocking medical malpractice cases in history would be that of Willie King. Willie was scheduled to have a leg amputated (you know where this is going) and shockingly, the surgical team removed the wrong one. They realised half way through the procedure, by which time it was far too late to save the leg. While he may have received over a million dollars in compensation, I think you might agree that having a leg mistakenly removed is not worth it. Although most of the above cases originate in the US, very similar things happen today in the UK. Evidence produced on the Express Solicitors website states that complaints aren’t being properly dealt with by the NHS, and have risen by 50% in the last year. This can mean that patients are left feeling helpless and powerless by incompetent practice, when actually the libelous party should be held accountable for their actions. It is actually a lot simpler to start a claim than you might think. The process of making a claim for medical negligence is best described in three simple steps as highlighted on the www.expresssolicitors.com site: Investigation, claim and litigation. The first step occurs after you contact a solicitors firm and you begin to compile a case. 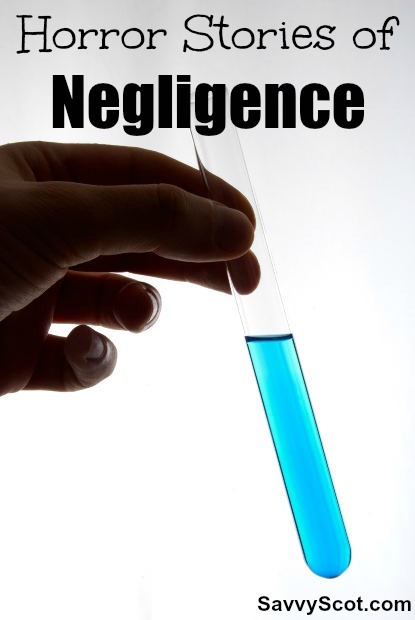 If your solicitor believes there is enough evidence of negligence you go to the second phase. The claim is sent to the defendant or their representatives and they have a given time by which they must respond. Very often cases can be settled outside of court which will significantly reduce the timeline to receiving your payout. Have you heard any shocking stories of misdiagnosis? Those are horrible! 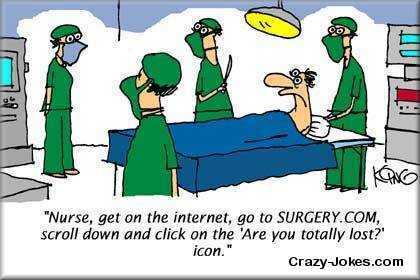 I worry about these things every time someone has a procedure. When you’re in the medical system and don’t know yourself what’s wrong, you’re really putting a ton of trust in others. Things like this always terrify me! Reading these kinds of horror stories always make me angry. I make mistakes too, but the level of these errors are truly negligence rather than an big oops. Nothing on that level, because thankfully she survived, but a woman I used to babysit for was in the hospital for routine child birth (no complications). Apparently they put in a sponge of some sort to stop some bleeding she was having and accidentally left it there. She had a horrible infection and at the time told her she might never be able to have another baby (thank god she was able and there was no permanent damage-well that we know about at this point). She didn’t sue, but absolutely could have. Things like this are truly scary. I remember one time when I was getting some teeth removed for braces when I was little. The gas wasn’t working and the local numbing agent didn’t take effect, so I could feel everything, but couldn’t tell them, so I tried to grunt to get their attention. That was painful. I think it happens more often than reported, except the results aren’t always as crippling as these examples. Very scary. We all hear horror stories and hope it won’t happen to us or any of our loved ones! Incredible stories; just terrible. Interesting topic.